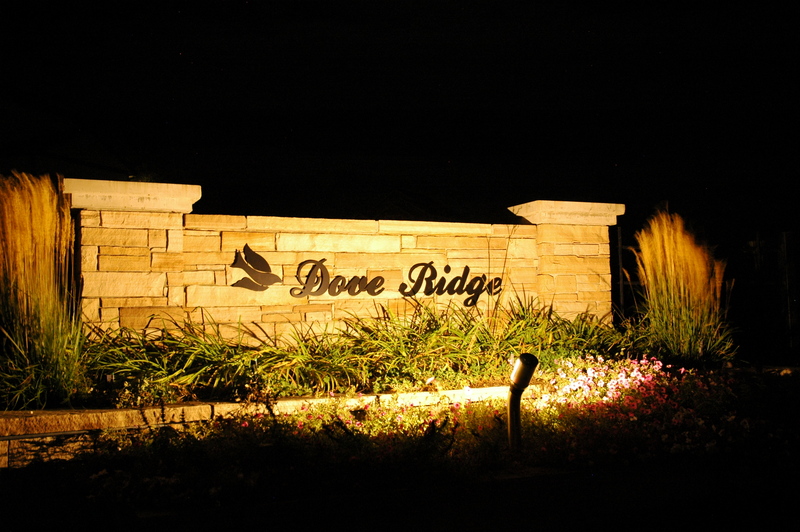 On the 27th of September, Outdoor Lighting Perspectives completed its latest community entrance lighting project for the Dove Ridge HOA. Each of the three monuments had two existing metal halide floods (75W bulbs), and at each monument we replaced them with a single 39W Ceramic Metal Halide(CMH) LC-10 fixture.Not only did these new fixtures create more effective and aesthetic lighting, it also provided energy savings to the HOA of 72-percent. CMH bulbs, unlike regular metal halide bulbs, experience no color shift over their expected lifetimes (roughly 18,000 hours for the CMH bulbs). You might be asking – what exactly is color-shift? If you’ve ever been to a nighttime high school football game or a little league baseball game, I’m sure that you’ve seen the metal halide lights that have experienced color shift. The newer metal halide bulbs appear to be pure white, while the older ones can appear to be pink, green or blue. Oh, and about the flyover. On the 27th, President Obama was coming to Denver to speak at a high school that afternoon only a few miles from our office. 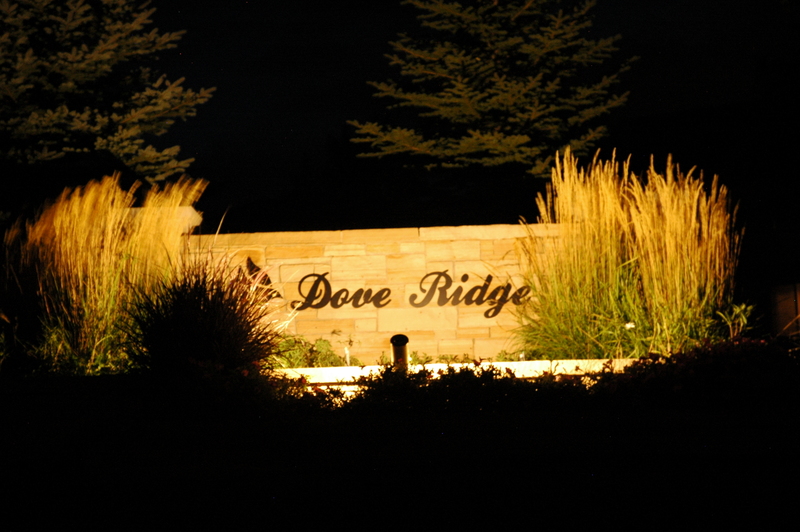 As it turns out, I had to meet up with our crew at the Dove Ridge site in the early afternoon – and Dove Ridge is located about two miles from the Buckley AFB. When I heard a large plane overhead, I looked up and said to the crew – there goes Air Force One! It’s certainly not every day that Air Force One flies over one of our lighting job sites.